At the annual new product launch Apple announced its collaboration with the luxury fashion house –Hermès to produce a range of leather watch bands — a double loop ($1,250), a single loop ($1,100-$1,150) and a wider cuff ($1,500) — with a custom digital face to match. What matters here is the fact that Apple wrangled a partnership with Hermès. Apple has been pushing the watch as a luxury product all along, but it did not go the iPhone way. 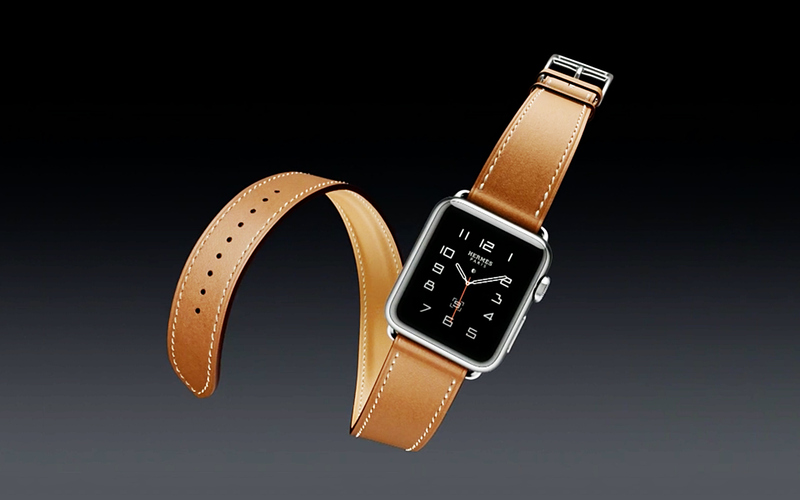 Probably the rub-off of heritage, iconography and craftsmanship of Hermès will do wonders for the Apple Watch. Apple has been expanding its play in the fashion industry in other equally significant ways. WME/IMG, the organizers of New York Fashion Week has created a television network called “Made 2 Measure,” which will stream behind-the-scenes and runway footage from NYFW that kicked-off today. But hey, you need Apple TV to watch the live feeds. I am not sure if this will do well given that it looks nothing like an apple product. The iconic white and silver colours are missing. I mean if i have to explain to someone that what i am wearing is apple iwatch in hermes package that is just taking away the whole brand recognition. Most apple consumers are also geeky and not necessarily into fashion brands. Interested to see if this takes off or falls flat. on the other hand i guess $1000 for two brands in one is not a bad deal.